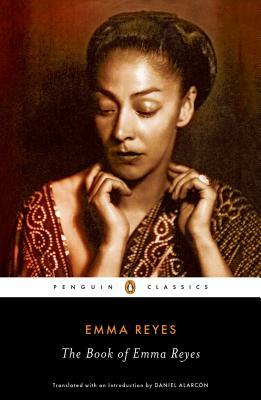 The Book of Emma Reyes: A Memoir (Paperback) | Water Street Bookstore, Inc.
Emma Reyes (1919–2003) was a Colombian painter and intellectual. Born in Bogotá, she also lived in Buenos Aires, Montevideo, Jerusalem, Washington, and Rome before settling in Paris. She dedicated most of her life to painting and drawing, slowly breaking through as an artist and forging friendships with some of the most distinguished European and Latin American artists, writers, and intellectuals of the twentieth century, among them Frida Kahlo, Diego Rivera, Jean-Paul Sartre, and Pier Paolo Pasolini. The year she passed away, the French government named her a Knight of the Order of Arts and Letters. Daniel Alarcón (translator/introducer) is one of The New Yorker’s “20 under 40” best fiction writers. His books include the novels Lost City Radio and At Night We Walk in Circles, which was a finalist for the 2014 PEN/Faulkner Award; the story collections War by Candlelight and The King Is Always Above the People, which was longlisted for the National Book Award; and the graphic novel City of Clowns. His writing has appeared in The New Yorker, The New York Times Magazine, Granta, n+1, and Harper’s Magazine. Alarcón teaches at the Columbia University Journalism School and is the executive producer of Radio Ambulante, an award-winning Spanish-language podcast distributed by NPR.